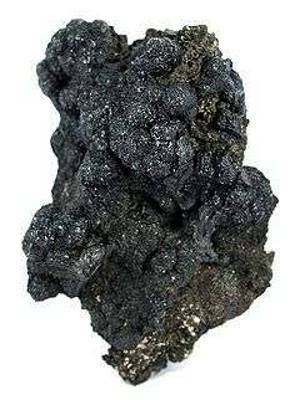 Argyrodite is an uncommon silver germanium sulfide mineral with formula Ag8GeS6. 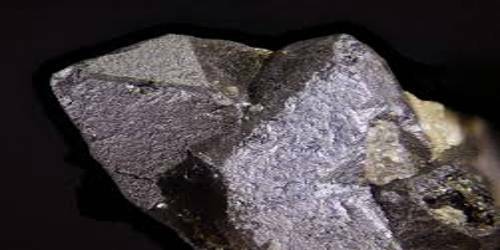 It is a rare silver germanium sulfide mineral. The color is iron-black with a purplish tinge, and the luster metallic. It was first discovered in the silver mining area of Freiberg, Saxony, Germany in the Himmelsfurst Mine. Discovered by Clemens Winkler in 1886, it is of interest as it was described shortly after the element germanium was isolated, 15 years after it had been postulated by Mendeleev. It was first described as an occurrence in the Himmelsfürst Mine, Erzgebirge, Freiberg, Saxony, Germany. Argyrodite gets its name from the Greek words that loosely translate into “rich in silver”. The Freiberg mineral had previously been imperfectly described by August Breithaupt under the name plusinglanz, and Bolivian crystals were incorrectly described in 1849 as crystallized brongniardite. Isomorphous with argyrodite is the corresponding tin bearing mineral Ag8SnS6, also found in Bolivia as pseudocubic crystals, and known by the name canfieldite. There is also a related mineral, putzite, with composition (Cu4.7Ag3.3)GeS6.